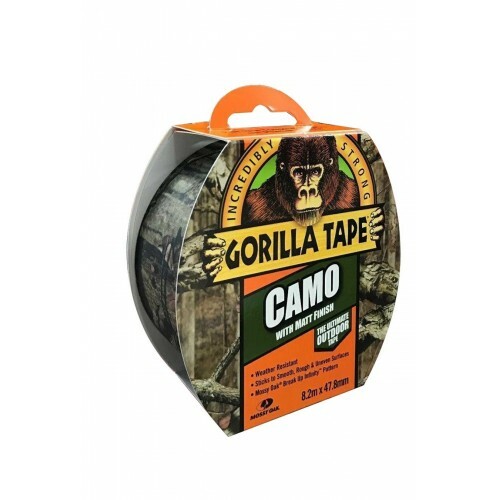 Gorilla Camouflage Tape 8.2m x 47.8mm. A strong, camouflage effect tape. Tough all weather shell that withstands moisture, UV rays and temperature extremes. Grips smooth, rough and uneven surfaces for a strong grip.